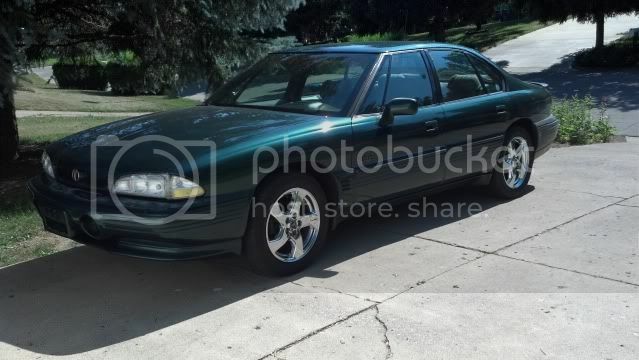 Post subject: Will 2004 Bonneville wheels fit on my 1992 Bonneville? 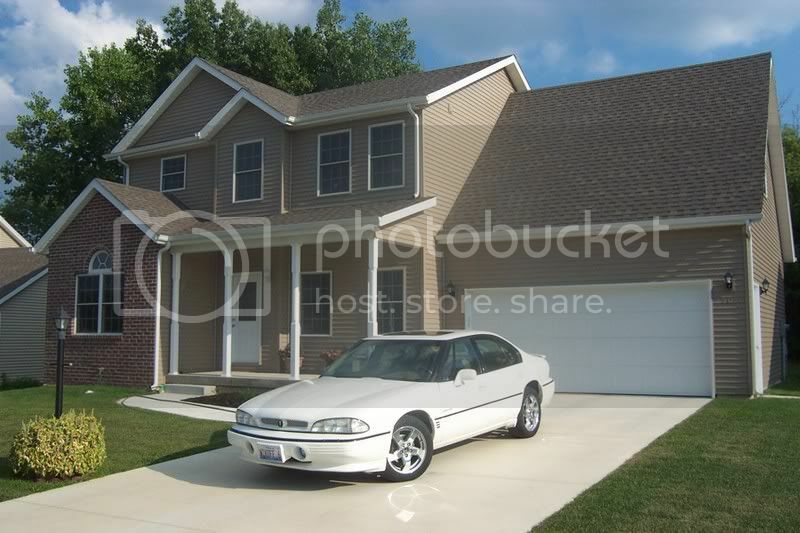 Hey guys...going to go buy some 2004 chrome bonneville wheels and tires for a great deal...heading there here in about an hour. 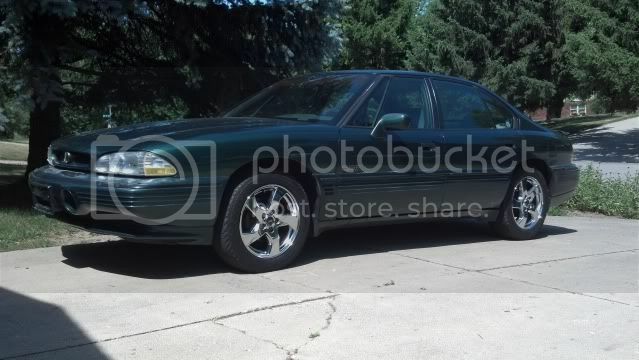 Just wanted to make double sure that the 2004 Bonneville wheels will fit on my 1992 Bonneville. I'm saying that they do...from everything I've read and from tire/wheel fitment charts and specs that I've been able to find...but I just wanted to make sure. Thanks for any help...my Swoopie's (or whatever they are called)...will be for sale soon...as long as the 04's fit. 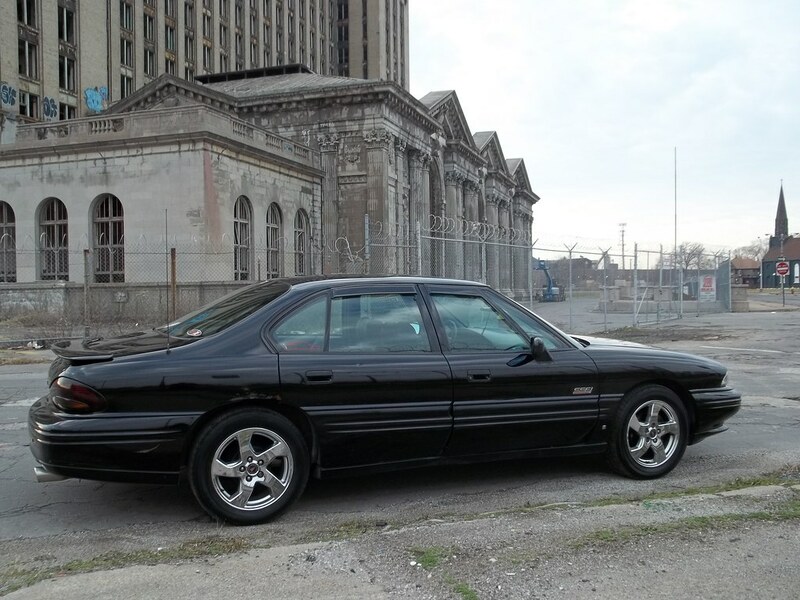 Post subject: Re: Will 2004 Bonneville wheels fit on my 1992 Bonneville? I can't wait and I'm heading out right now to go get em. What style are the 04s? Bent 5 or GXP? Last edited by BiGDaWgZ on Tue Jun 12, 2012 9:03 pm, edited 1 time in total. Well...I got them bought...and got em home ! The wheels don't look like they've hardly ever been ran at all....with no rash...and no pitting or anything like that. After looking at them a bit closer....I determined that they "painted" the center caps with a sharpy (or other perm. marker)....so I soaked them down with lighter fluid ...a few times...then I used a rag soaked w/the fluid to remove all of the remaining marker. Now they look really great ! I'll post up a pic or 2 tomorrow...after I mount them onto the car. One thing that I did notice....was that the new wheels/tires are quite a bit taller than the tires that are on my Bonneville right now tho. I'm not sure if there's supposed to be that much of a difference in height...between the two...or if maybe my car's previous owner put some very tiny tires on it...or what ?! 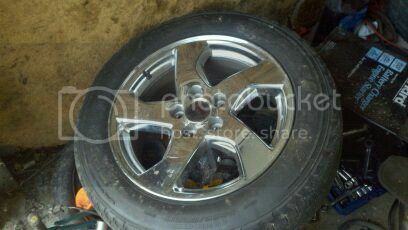 The Tires that came on the NEW Wheels that I just picked up tonight....are 225-60-17" Goodyear Fortera's. Does anyone know the proper stock height for the 16"s....offhand? 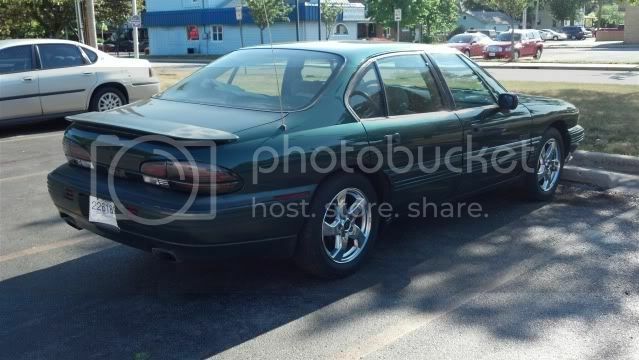 Anyone have any pics of the "BENT 5's" mounted up on a 1992 style Bonneville ? Last edited by BiGDaWgZ on Tue Jun 12, 2012 11:38 pm, edited 1 time in total. Yeah, 225/60/17 will be a bit tall. Your speedometer is 3.8% off. If the speedo says 60mph, you're going 62.3mph. Correct tire size for your application to better match the stock 225/60/16 will be either 225/55/17 (0.4% too tall), 235/55/17 (2.1% too tall), or 235/50/17 (1.4% too fast). My personal rule of thumb is to keep it around 2% or better. In terms of fitment, the current tires should work but you may find that they will rub the plastic inner fender at full steering lock. The amount that they rub will determine whether or not you need to get new tires. Mine is a 96 but its pretty close to what a 92 would look like. 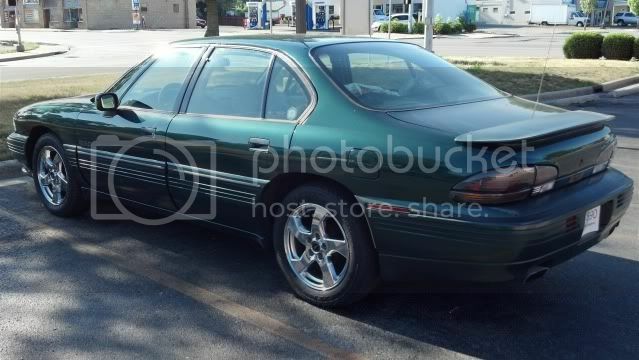 Here's what mine looks like now...with the 04 wheels/tires on it now. Thats impossible, swoopies are 17". 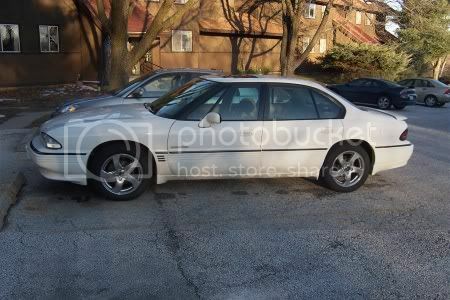 Unless they arent Bonneville swoops that came stock on Bonnes. I think he was talking about the stock 92/93 Aerolites that looked like 3 bladed slotted fans. 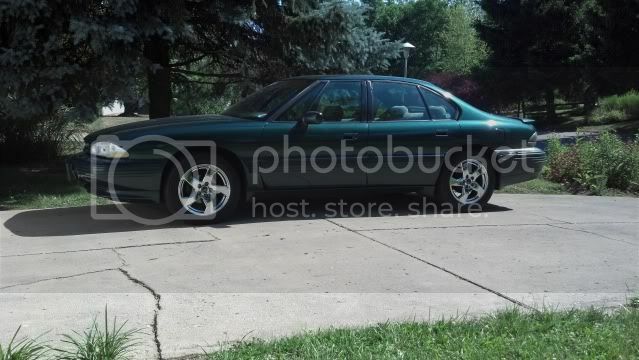 yeah I was talking about the wheels that came stock on the 92 or 93 model years.